Are you looking for that extra WOW factor in your home or just wanting to update your existing window coverings , I have many clients that over the years have continually updated their windows coverings to suit the current trends that are available. At present I am advising clients to simply create that lovely soft luxurious feel on the window by utilising Linen Sheer fabrics. 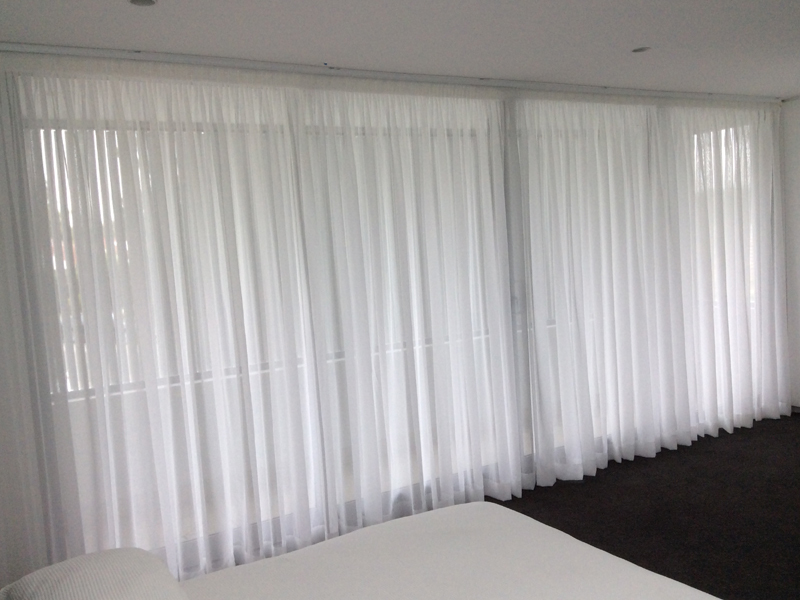 Depending on the area or room that they are being introduced into , you can simply have a nice full sheer that highlights the texture or surroundings in your room and if privacy is required then it is simply a case of either installing a blackout roller blind or using some of the stunning colored linings that we now have available. The advantages of using a colored lining is that it will provide an extra layer of protection between the glass and sheer material whilst also introducing more fullness into the sheer , this is generally done on a combination track or rod that will allow you to open or the close the lining independent of the sheer curtain. Most of my clients will leave the sheer curtain pulled across the window and then only use the lining when necessary for privacy during the day or evening. This same effect can be achieved using a simple roller blind , keeping in mind that the roller blind will not add any fullness into the overall look of the window. I always suggest to my clients that the bedroom areas of your home , especially the main bedroom should have a more softer flowing look than the main living areas if you are utilizing linen sheer curtains. The main way of achieving this is generally two fold , in bedrooms I will always use a minimum of 2.5 fullness on the linen sheer curtains and always use a sfold heading finish , this tends to tailor the sheer to a more flowing effect and create that lovely look of flowing material when you enter your bedroom . I will also always use color lining in bedrooms , it is just a much nicer look. In your living areas , it is not always necessary to go to the extent of your bedroom in relation to softness , the fullness on the linen sheer would normally be cut back to 2.0 times and then also the heading can swapped over to a long pencil pleat tape which provides a stronger more casual look at the top section of the curtain. It is in these living areas that you are able to utilize a simple roller blind behind the sheer curtain.